One of the elements that makes the Iron Gods adventure path so unique is the bevy of exotic, high technology featured throughout. From laser guns, to force fields, to chainsaw swords, there is a wide selection of sci-fi loot that can be recovered from ancient Numerian ruins, purchased from friendly scavengers, or pried from the cold, dead hands of vanquished foes and, since these items play such a significant role in setting the tone for the Iron Gods adventure path, it seems that I will need 5E versions of these items, if I will be running it in 5E. In the interest of my own sanity, I have restricted this batch of conversions to the items actually found or used in Pathfinder Adventure Path #85: Fires of Creation (Iron Gods 1 of 6), rather than attempt to convert over everything from the Pathfinder Campaign Setting: Technology Guide. With that in mind, I give warning the THE FOLLOWING CONTAINS MINOR SPOILERS FOR FIRES OF CREATION and, therefore, should not be read by players who will be playing through that adventure. With that warning out of the way, let’s get to the loot! Before delving into the high techology items, there are a few new rules that I need to discuss. Before a character can make use of a high technology item, she must understand what it is that she has found. In order to do so the character must succeed on a number of Intelligence checks based on the complexity of the item, as determined by the DM (usually 3 or 4 for anything found in the Iron Gods adventure path) with the results compared to the Figuring Out Alien Technology table found on page 268 of the Dungeon Master’s Guide. The character may add any relevant skill or tool proficiency bonus they have to this roll, though if they do not have proficiency in the Technologist “tool,” they suffer disadvantage on this roll, unless they have someone who already understands the item explaining it to them. For instance, the Medicine skill could be used to identify pharmaceuticals, and Engineer’s Tools could be used to identify most other high technology items, though the DM is encouraged to allow inventive players to use other skills or tools, if they make a good pitch for it. If the character fails four or more times before reaching the required number of successes, the item glitches (see below). Once a character understands a high technology item, they are free to use the item as intended, though the item may pose other challenges, particularly if it is timeworn (see below). The following are new tools that function much like the other tools and supplies described in the Player’s Handbook. Many high technology items have the Capacity property. This lists the maximum number of charges that the item can hold and will list how many charges are expended when the item is used. When an item’s entire capacity has been exhausted, it no longer functions. Implantation is a numerical value indicating how invasive the cybertech is. The higher the number, the more invasive the cybertech. Implantation influences the time and difficulty of installing and removing the cybertech. The total combined implantation values of all cybertech implanted in a single creature can’t exceed either that creature’s Constitution score or Intelligence score—a creature’s Constitution sets the physical limit of what its body can accept in the form of cybernetic implants, while the creature’s Intelligence sets the mental limit of what its brain can control. An implant whose implantation value would cause the total to exceed either of these two scores does not function, but still takes up a body slot. 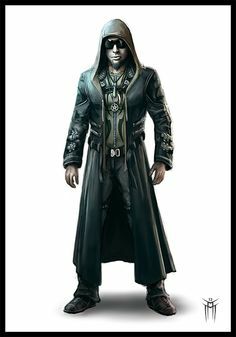 In addition, as long as a character has cybernetic implants installed whose combined implantation exceeds his Constitution or Intelligence, he suffers disadvantage on all saving throws. This is the part of the body into which the cybertech must be implanted. A single slot can only ever host a single piece of cybertech. Cybertech slots are separate from normal magic items and do not count as being used for the purposes of worn magic items. An autograpnel looks like a rifle with a small adamantine spike protruding from its barrel. When fired, an autograpnel launches the spike with a muffled bang. The spike trails an incredibly strong and thin metal cable behind it. An instant after the spike punches into a solid target, tiny spurs lance out of it, anchoring the spike in place. An autograpnel’s cord is long enough to allow the grapnel to reach its maximum range of 300 feet, and the internal retraction motors are strong enough to hold up to 500 pounds of weight. If the grapnel misses its target, it can be rewound into the gun as a Use an Object action; reattaching the grapnel to the gun barrel is a Use an Object action. If it strikes a creature, it remains lodged in the target and connected to the rifle and its wielder by the metal cord. This cord has AC 19 and 20 hp. A successful DC 30 Strength check is required to snap the cord. If the wielder retracts the cord while it’s attached to a creature, the autograpnel attempts to pull the target with a +8 bonus (as if shoving the target, as described on page 195 of the Player’s Handbook). If used against objects, an autograpnel can pull an item that weighs 25 pounds or less back to the user with a Use an Object action, or it can pull a heavier object that weighs no more than 100 pounds back to the user at a speed of 20 feet. When attached to a solid object, the gun’s retraction rate can be set to maintain a taut line while the gun is attached to a harness worn to grant advantage on climbing checks. A flare gun looks like a wide-barreled pistol, and although it can be used in combat, the item’s primary use is to send signals. A flare gun and its ammunition (a small, rocket-propelled magnesium charge) are completely self-contained and disposable—once fired, a flare gun is useless. While a flare gun has excellent range, the flare tends to wobble and spiral in flight, making attack rolls at disadvantage if it’s being used to target a specific point. The flare detonates once it hits a target or reaches its maximum range of 2400 feet, bursting into a sphere of fire that illuminates a 120-foot-radius area for 1 minute as it drifts slowly back to the ground. Any creatures within 20 feet of the flare must make a successful DC 10 Constitution saving throw each round or be blinded for 1d4 rounds by the intense light, or for as long as they remain in the area (whichever is longer). A creature struck by a flare takes 1d8 points of fire damage, and continues to take the same amount until it uses an action to make a DC 10 Dexterity check to remove the flare. 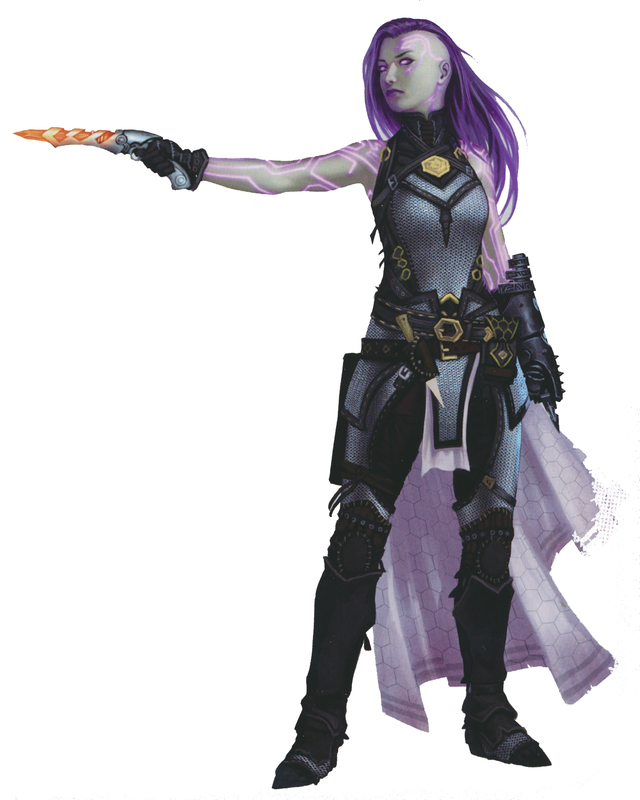 A description of the Inferno Pistol can be found at page 60 of Pathfinder Adventure Path #85: Fires of Creation (Iron Gods 1 of 6). On a critical hit with this weapon, the target takes 1d4 fire at the start of each of its turns. A creature can end this damage by using its action to make a DC 10 Dexterity check to extinguish the flames. While powered down, this sturdy, 2-foot truncheon functions as a mace. Once it is activated by expending a charge (with a Use an Object action), each time the weapon hits a target, it consumes 1 charge and the creature struck must make a DC 10 Constitution saving throw or have disadvantage on attack rolls, ability checks, and Wisdom saving throws for one round. Creatures immune to the charmed condition do not have to make the Constitution saving throw. When a target is reduced to 0 hit points by a Stun Gun attack, it automatically stabilizes and does not have to make death saving throws. On a critical hit with this weapon, the target is knocked prone if it is Large size or smaller. 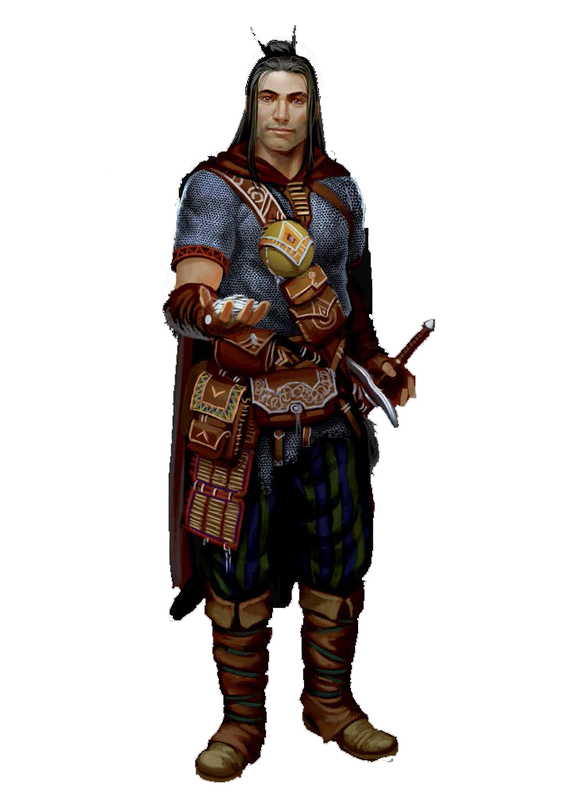 A description of the Neraplast Armor can be found at page 60 of Pathfinder Adventure Path #85: Fires of Creation (Iron Gods 1 of 6). By spending an action and 1 charge, the wearer gains advantage on all Dexterity (Stealth) checks, which lasts until the wearer enters a terrain of significantly different coloration and background patterns. When not being worn, a panic suit is a fist-sized plastic sphere. When activated with a Use an Object action, it envelops the creature holding it in a full-body protective suit. While activated, it provides immunity to low radiation and resistance against all forms of energy except thunder damage. Its air filters grant advantage on saving throws against inhaled poisons and diseases. A panic suit is a single-use item. When its charges run out or its wearer deactivates it, it falls apart into useless fragments. Hemochem stops bleeding and promotes healing. A single dose of hemochem allows the patient to regain a number of hit points per round for 1 minute, up to their maximum hit points. Multiple doses injected do not stack, but they do reset the duration of the effect back to 1 minute. Five grades of hemochem exist; the amount of healing granted by a dose depends on the pharmaceutical’s grade, as detailed below. Torpinal is a serum that makes the injected subject more cooperative during interrogation. One minute after a target is injected with torpinal, he must make a DC 10 Wisdom saving throw or become charmed for 10 minutes and suffer disadvantage on any Charisma (Deception) checks made for the duration. Additional doses can be used, and often are used when the subject succeeds at a saving throw against torpinal. Each dose administered within a 1-minute period forces a new saving throw to resist the effects, with the DC increasing by 2 per additional dose (to a maximum of DC 18). Whenever the victim is posed a question during this time, the victim must make an additional Wisdom saving throw at disadvantage (DC = the DC of the dose of torpinal the victim failed his saving throw against) to resist replying to the question in as truthful a manner as he can. The victim isn’t compelled to follow any suggestions other than the one to answer questions truthfully. Creatures immune to poison or the charm condition are immune to Torpinal. A description of the Vitality Serum can be found at page 61 of Pathfinder Adventure Path #85: Fires of Creation (Iron Gods 1 of 6). When this serum is injected, the patient gains immunity to low radiation and advantage on all saving throws against radiation effects for 1 hour. In addition, the serum restores up to 2 exhaustion levels lost to radiation. 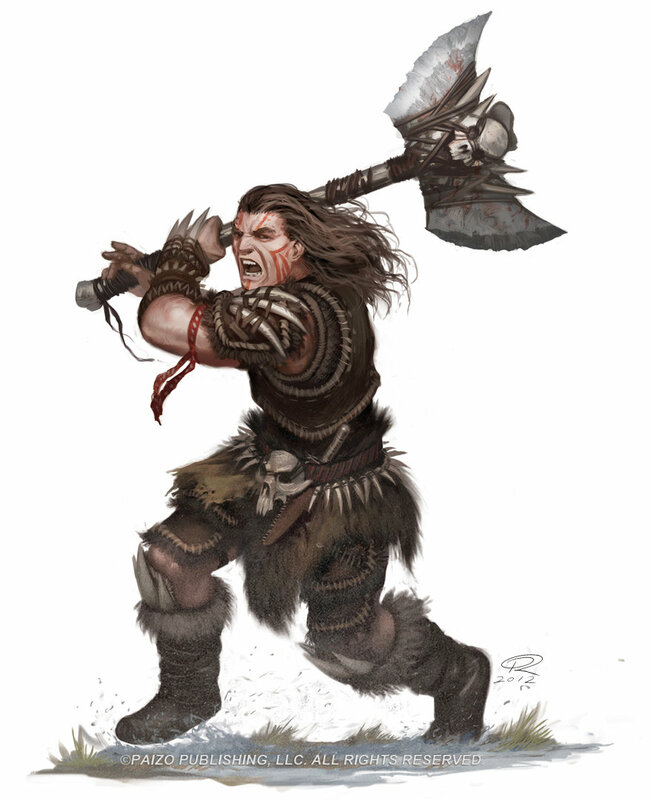 A description of the Universal Serum can be found at page 61 of Pathfinder Adventure Path #85: Fires of Creation (Iron Gods 1 of 6). Injecting this serum restores 2d4+2 hit points to the patient and an additional effect, based on the serum color selected. You can select a color with a Use an Object action. A Red serum grants the patient a Strength 21 for the duration. Blue serum grants the patient 20 temporary hit points for the duration. Green serum grants the patient a Dexterity 21 for the duration. Whatever the color, each serum lasts for 1 hour, after which the patient gains one level of exhaustion. If a patient receives more than 1 dose of universal serum before completing a long rest, the healing effect still occurs, but it has no other beneficial effects and suffers a further level of exhaustion. A skillslot is implanted into the target’s brain, leaving a small port at the base of the skull. This port is covered with a flap of skin when not in use. Once installed, a skillslot has no effect until a skillchip is inserted into the port (see below for information on the various forms of available skillchips.) An inserted skillchip enhances the user’s ability in the skill, tools, or supplies encoded on the chip. The magnitude to which the skill is enhanced depends on the power of the skillchip. It takes 10 minutes for a skillchip to adjust itself to a new skillslot; during this time, the user suffers disadvantage on all skill checks as distracting sensations flood his mind. When a skillchip is removed, its benefits end immediately, but the wearer suffers no ill effects. While a skillchip for a set of tools or supplies is in a skillslot, the user may also use those tools or supplies as if she was proficient with them (though she does not get to add her proficiency bonus to ability checks using those tools/supplies unless she is already proficient with them). A skillchip contains a wealth of knowledge and lore concerning a single skill, set of tools or supplies. Skillchips are available for the Arcana, History, Medicine, Nature, and Religion skills and all tools and supplies listed in the Player’s Handbook, as well as the Engineer’s Tools described above. In order for a user to access a skillchip’s lore, it must be inserted into an active skillslot. The magnitude of the bonus granted by a skillchip varies, as summarized on the following table. An access card is a small strip of stiff plastic with a color-coded stripe on one side. Some access cards are further decorated with names or titles written in Androffan, or even photographs of long-dead crew members. An access card functions as a key—when swiped through an electronic lock (with a Use an Object action), an access card unlocks any lock of its color code or a color code of a lower rating. Although access cards do not consume energy themselves, they work in only electronic locks that currently have power. Among certain societies, access cards are also used as decorations, worn as affectations, and incorporated into ceremonial regalia. Access cards must be encoded to specific locks before they can function. Often, all of the doors in a complex are keyed to a unique set of cards that don’t work on doors found in other complexes, much like a skeleton key might open all the doors in one castle but none in another. Coding an access card for specific locks requires a lock coder. Some access cards could be worth far more than the prices listed above if they’re specifically encoded to locks that protect more valuable or significant contents. Placing a battery in a generator’s charging slot can recharge it. However, each time a battery is recharged, there’s a 20% chance that the battery is destroyed in the process. A destroyed battery is worth only 10 gp. The bulk of “silverdisks” in circulation today are destroyed batteries; one can tell a functional battery from a destroyed one by the way the circuitry seems to shimmer slightly when reflecting light. The circuitry in a charged battery glows with a soft blue radiance equal to that of a candle. An e-pick (short for “electronic lock pick”) is a small device that can be used to unlock and disable electronic locks and devices, much in the same way that a set of thieves’ tools can be used to dismantle mechanical locks and devices. The bonus is determined by the rating of the e-pick. Using the device does not grant proficiency with thieves tools, but allows the user to make rolls against electronic devices without disadvantage. If you are proficient with Engineer’s Tools, you may also add your proficiency bonus to checks when using an e-pick. An emergency beacon is a small, pod-shaped device that emits a bright red flash from a dome on its top once every 6 seconds when activated. The beacon also transmits its location. Any device capable of receiving signals of any sort can pick up a beacon’s signal, which can then be tracked back to the source with a successful DC 15 Intelligence (Investigation) or Wisdom (Survival) check. A beacon’s transmissions have a range of 100 miles over flat terrain, but this range is halved in forests or hills, and quartered in mountainous terrain or through water. When activated, a flashlight creates a beam of bright light in a 60-foot cone. It also increases the light level in the area beyond this initial cone by one step (from darkness to dim, or from dim to bright), out to a 120-foot cone. A flashlight has no effect in areas of magical darkness. Goo tubes are a form of preserved food. A single goo tube is a malleable cylinder with a cap on one end; when it’s opened and squeezed, the colorful, goopy contents are extruded. Although the texture and appearance of this goo is unappetizing, the paste is actually quite tasty, and comes in a mind-boggling assortment of flavors. A symbol on the side of the tube often grants a clue as to what flavor may be contained within, but these symbols can sometimes be counter-intuitive. The contents of a single goo tube can provide nourishment for a day for one Medium-size creature. A grenade is a small, cylindrical device that is designed to be thrown as a ranged finesse weapon at a point up to 60 feet away or fired from a grenade launcher. Before being thrown by hand, the grenade must be primed with a quick twist of a dial at one end and then armed with a click of a button at the center of that dial. Priming and arming a grenade is done as part of the Attack action; a grenade launcher primes and arms all grenades it fires. The grenade detonates at the beginning of the wielder’s next turn, hopefully in the area targeted. When a grenade detonates, it damages all targets within a 20 feet of the grenade. A successful DC 15 Dexterity saving throw halves any damage dealt by a grenade. The type of damage dealt by grenades varies widely and depends upon the nature of the specific grenade. The different types of grenades and the damage types they deal (along with any additional effects their damage deals) are listed below. Deals no damage but knocks creatures prone if they fail a DC 15 Strength saving throw and deafens them for 1d4 round if they fail a DC 15 Constitution saving throw. Deals no damage but blinds creatures for 1d4 rounds if they fail a DC 15 Dexterity saving throw. Deals 5d6 thunder damage, but if a target is reduced to 0 hit points by a Soft Grenade, it automatically stabilizes and does not have to make death saving throws. Grippers are powerful, long-handled tools that resemble a blacksmith’s tongs. Once they’re set, they can be locked into place to grip an object. Used when attempting to pry open a stuck object (in a manner similar to the use of a crowbar), grippers grant advantage on Strength checks. When used to attach two devices, a set of grippers holds on with an effective Strength score of 19. 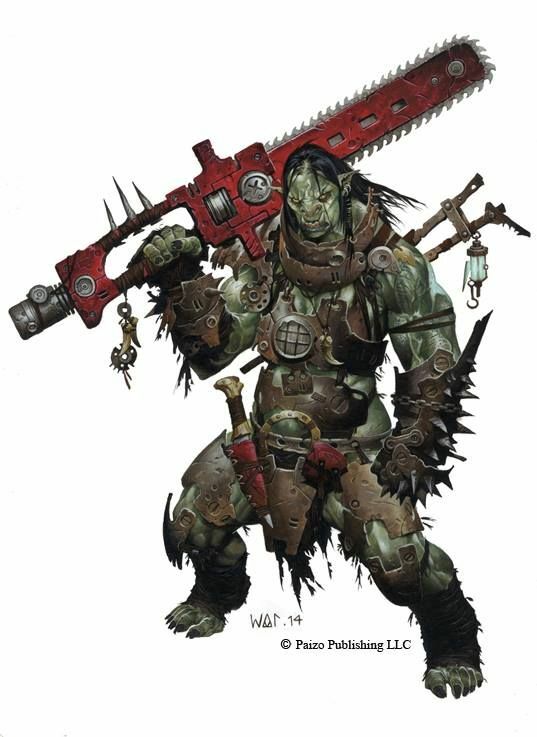 Applying grippers to a creature and then locking the grippers to crush flesh and bone is a melee attack and, once locked, the grippers deal 1d6+4 points of bludgeoning damage. 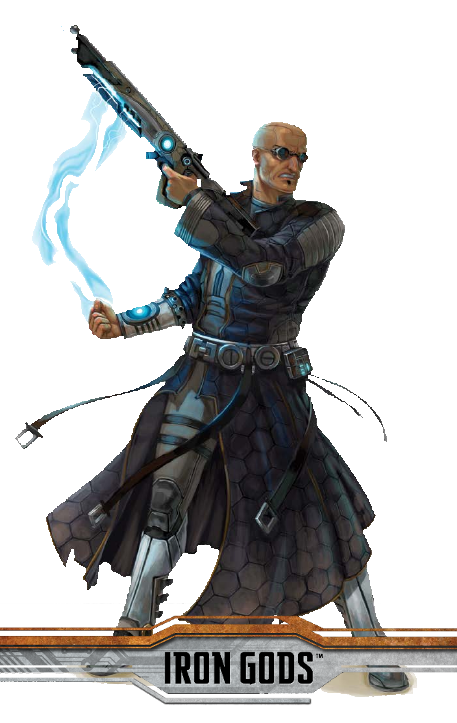 A nanite canister is used to power technological devices that use nanites—such items generally don’t require other sources of power, as the nanites themselves do the bulk of the work when the object is activated. The canister contains a small, independent power source and a supply of nanites. A single canister contains enough nanites to provide 10 charges for a nanotech item or weapon. Weight 1 lb., Capacity: 1 naninte canister, 1 or 5 charges per use. Nanite hypoguns inject specialized nanites into a creature’s body to heal many sorts of physical and mental injuries. Injecting someone with a nanite hypogun requires a melee attack. Nine categories of nanite hypogun exist along the color code scale, as detailed below. All nanite hypoguns have two settings. On the primary setting, the hypogun heals an amount of hit point damage determined by its color. Each use of a hypogun on its primary setting consumes 1 charge. On the secondary setting, a dose from a nanite hypogun has a different effect determined by its color—these effects mimic specific restorative spells as indicated on the chart below. Each use of a hypogun on its secondary setting consumes 5 charges. A nanite hypogun functions only on a living, corporeal creature. It has no effect on undead creatures whatsoever. A full description of the Proximity Helmet can be found at page 61 of Pathfinder Adventure Path #85: Fires of Creation (Iron Gods 1 of 6). During the time the helmet is active, it grants the wearer advantage on all Wisdom (Perception) checks made to notice moving targets within 60 feet, in addition to its other features. This device measures radiation levels in a 120-foot-radius circle. When activated, the device makes a soft clicking sound that changes in volume and frequency according to the radiation level encountered. A small screen on the top of the handheld device indicates the approximate source and strength of radiation in these areas, with red areas indicating severe radiation, yellow high radiation, green medium radiation, and blue low radiation. Areas with less radiation don’t register on the device’s screen. A veemod (“vision enhancement module”) is a narrow crystalline strip that slots into a set of veemod goggles to enhance the goggles’ use. Inserting a veemod into a pair of goggles is a Use an Object action. Veemods are color-coded items, and provide the following benefits. These goggles come in a variety of colors and shapes, but most are sleek and streamlined in appearance. The primary use for these goggles is to enhance vision via the application of a “vision enhancement module,” or “veemod.” A pair of veemod goggles can be fitted with only one veemod at a time; attaching a veemod is a Use an Object action. Veemod goggles consume charges only when a veemod is installed. The rate at which a veemod uses charges depends on the veemod installed. Some technology found in the Fires of Creation adventure is described as being “timeworn” and, since I love the rules that the good folks at Paizo have written to represent the dangers of using 9000 year old equipment, I have repurposed the PF rules for use with 5E. Between languishing in forgotten ruins open to the elements, being used by those ignorant of the nature of this technology, and having no one skilled at building, maintaining, or repairing such devices, most technological items are “timeworn”—damaged and malfunctioning (when not completely nonfunctional). These malfunctions manifest in two ways: limited charges and glitches. Only technological items that consume charges (including nanite canisters) or are pharmaceutical items can be affected by these timeworn rules. A piece of timeworn technology may have additional aesthetic and functional differences from a new piece of the same equipment. Many of these effects are purely cosmetic, such as cracks in the casing of an arc grenade or primitive etchings on a suit of technological armor placed there by a barbarian millennia ago (DMs are encouraged to use the tables found at pages 142 and 143 of the Dungeon Master’s Guide to help add character to these items) . Pieces of timeworn technology may also have minor mechanical effects beyond glitches (at the DM’s discretion). A timeworn laser pistol might constantly hum at a low but noticeable frequency. A timeworn plasma grenade could be caked in a strange viscous fluid that has a pungent odor, making its wielder more easily tracked via scent. Timeworn technological items should clearly evoke a sense of age and danger, and even the most standard piece of Androffan gear can be made unique based on individual deteriorations. Note that not every technological item is timeworn, but most technology that PCs encounter outside of the deepest and most remote of ruins will be. These items function as presented in the previous chapter, can be recharged, and do not suffer glitches. Timeworn technology also has the following properties. Timeworn technological items can’t be recharged. When a timeworn technological item is properly identified or first used, roll randomly to determine how many charges it has left before it becomes useless. Timeworn technology sometimes doesn’t work the way it was originally intended to. When an item glitches, its effect is hampered or enhanced, as determined by a d% roll. See below for a complete list of glitch effects for armor, weapons, pharmaceuticals, and other technological equipment. Not all glitches are catastrophic; they represent unpredictable effects, for good and ill.
Timeworn technology doesn’t always work as intended. There’s a 50% chance that timeworn items glitch under the following conditions. When an item is first used after a month or more of inactivity. Anytime a single-use consumable is used. When using an item in a way that would drain its last charge. When an item requires a d20 roll (such as an ability check or an attack roll) to activate or use, and that roll results in a natural 1. When a critical hit is scored against the wearer of an active defensive item, such as armor or a force field. Not all glitches are catastrophic. When an item glitches, its effect is hampered or enhanced, as determined by a d% roll. For items that can consume a variable number of charges, these additional charges do not affect the item’s performance; if such an item must consume twice as many charges, the amount is based on how many charges the user intended to use. When a glitch would cause an item to consume more charges than it currently holds, the item is drained of all charges and fails to function, but any negative effects still occur. Items that fail to function simply shut down if activated, and cannot be activated again for 1 round. 01-02 Armor abilities don’t function. All remaining charges are drained. 03-05 Armor* seizes up and abilities don’t function. The wearer is paralyzed for 1 round. 06-10 Armor doesn’t function, but still consumes the normal number of charges. 11-18 Armor doesn’t function, but no charges are lost. 19-50 Armor uses twice as many charges as normal (or expends an extra activation’s worth of charges if already active). 76-80 Armor functions better than anticipated. Its AC improves by 1 for the duration of this charge. 81-90 Armor functions much better than anticipated. Its AC improves by 2 for the duration of this charge. 91-98 Armor functions normally; no charges are consumed by this use. 99-100 Armor functions normally and a power surge restores 1d6 charges to the item (up to but not exceeding its capacity). *For a shield, the shield’s wielder is not impeded by the glitch. General GlitchesItems other than armor, pharmaceuticals, or weapons use this general glitch table. 01-02 Item does not function. All remaining charges are drained. 03-05 Item does not function, but still consumes the normal number of charges. 06-10 Item does not function, but no charges are lost. 11-18 Item uses twice as many charges as normal and jolts the user for 1d6 points of lightning damage, but otherwise functions normally. 19-50 Item uses twice as many charges as normal, but otherwise functions normally. 76-80 Item functions better than anticipated, and grants a +1d4 bonus on any ability check attempted with this use. 81-90 Item functions far better than anticipated, and grants advantage on any ability check attempted with this use. 91-98 Item functions normally and this use does not consume any charges. 99-100 Item functions normally and a power surge restores 1d6 charges to the item. Pharmaceutical GlitchesTimeworn pharmaceuticals have a chance of glitching when the dose is administered, even if another dose was recently used effectively. 41-50 Less potent. Decrease all saving throw DCs by 2*. Use minimum values for all random results (such as healing). Decrease durations by 50%. 51-60 Normal effect, but causes one level of exhaustion if the patient fails a DC 15 Constitution saving throw. 61-75 Normal effect, but hallucinogenic (disadvantage on Wisdom (Perception) checks and as if affected by the confusion spell for 2d4 rounds, until the patient makes a successful DC 15 Constitution saving throw). 86-95 More potent. Increase any saving throw DCs by 2*. Reroll any result of 1. Increase durations by 100%. 96-100 Far more potent. As above, but treat as 2 doses. * For a cardioamp, decrease the saving throw DCs on a more potent result, and increase the saving throw DCs on a less potent result. Weapon GlitchesWeapons used to make more than one attack in a turn might glitch multiple times during that turn. 01-02 Weapon does not function. All remaining charges are drained. 03-24 Weapon does not function, but still consumes the normal number of charges. 25-39 Weapon consumes twice as many charges as normal and deals 1d6 points of lightning damage per charge consumed (minimum 1d6) to the user. 40-65 Weapon consumes twice as many charges as normal. 66-75 Weapon functions normally but flashes brightly, blinding the wielder and adjacent creatures for 1 round unless they make a successful DC 15 Dexterity saving throw. 85-92 Weapon functions better than anticipated, granting advantage on attack rolls made with that weapon for 1 round. 93-96 Weapon functions much better than anticipated, granting advantage on attack rolls made with the weapon and an extra 1d6 damage on a successful hit. 97-98 Weapon functions normally, and this use does not consume any charges. 99-100 Weapon functions normally, and a power surge restores 1d6 charges to the item (up to but not exceeding its capacity). Whew. That was a lot more work than I expected, but holy hell am I excited to get this campaign started. Fires of Creation has a ton of great high technology items that I can’t wait to get into the hands of my PCs! 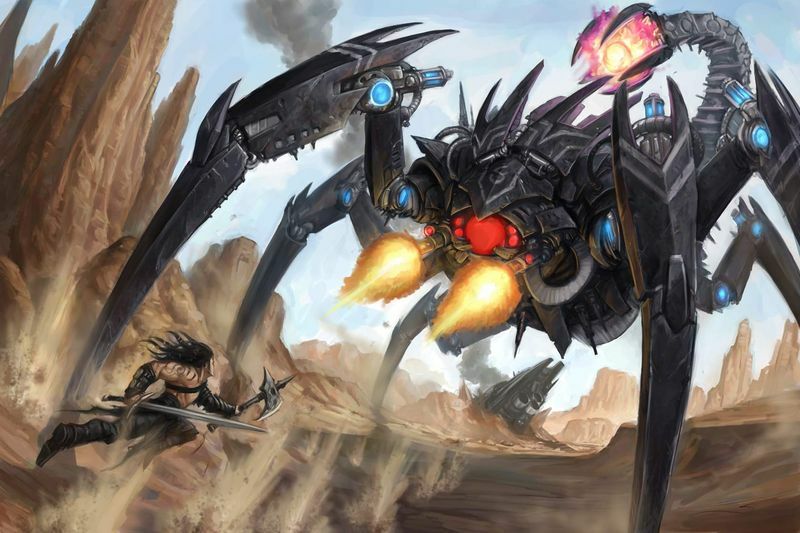 I really like the “Figuring Out Alien Technology” rules from the 5E Dungeon Master’s Guide and I wanted to make those rules work with the awesome stuff in Paizo’s Pathfinder Campaign Setting: Technology Guide (including the awesome “glitch” rules from the Technology Guide). I think the combo of these rules will add some terrific atmosphere at the table when the PCs begin poking away at the high tech stuff they find. When I converted the high technology items from Pathfinder to 5E, I decided to write them up in the format 5E uses for magic items (including assigning a “rarity” rating, rather than a gp cost), since that seems to be how they’re presented in the Technology Guide. Finally, you may have noticed that I have not included rules for firearms, even though some of the high technology items are firearms. 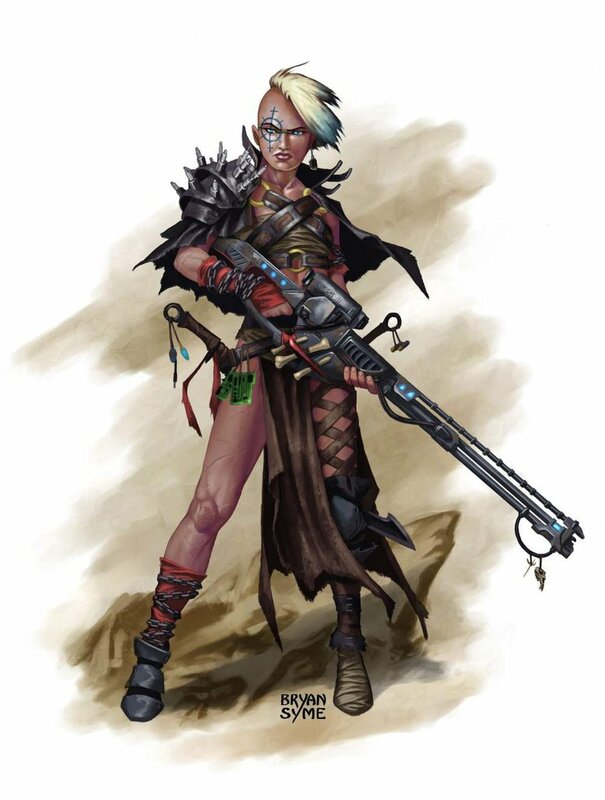 I will be dealing with those rules when I tackle the Gunslinger class, which is next on my to-do list. GRAB YOUR ION TAPE, INJECT YOUR NANITES, AND READY YOUR RAYGUN…THE IRON GODS AWAIT! 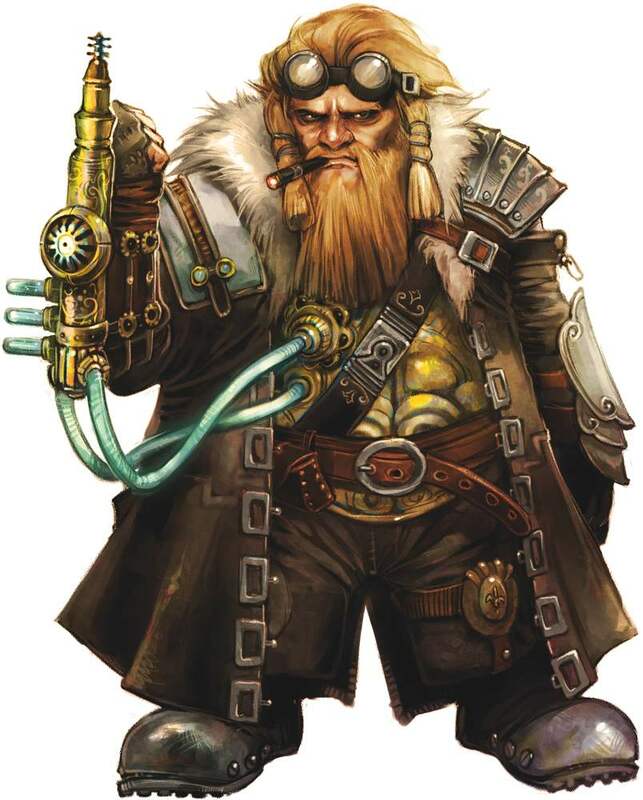 With the high technology gear for Fires of Creation converted, the only remaining mechanical conversions I need to get done are the monster conversions and a 5E version of the Pathfinder RPG’s Gunslinger class. It won’t be long before my players will be setting out on the Iron Gods adventure path!